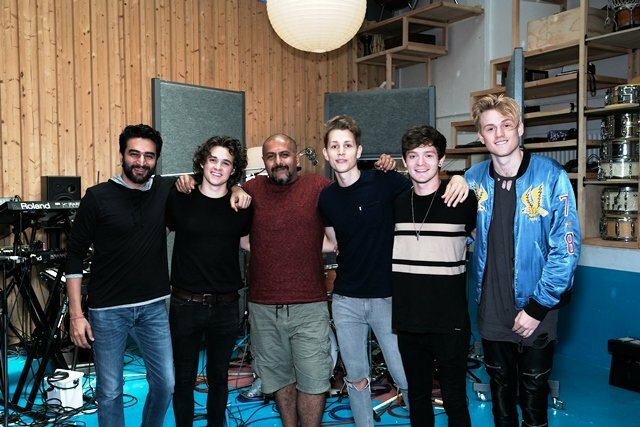 HOME / TRENDING / VISHAL-SHEKHAR & THE VAMPS TEAMED UP TO FORM THE FUSION HIT ‘BELIYA’! Bollywood duo meets British boy band in the song ‘Beliya’! 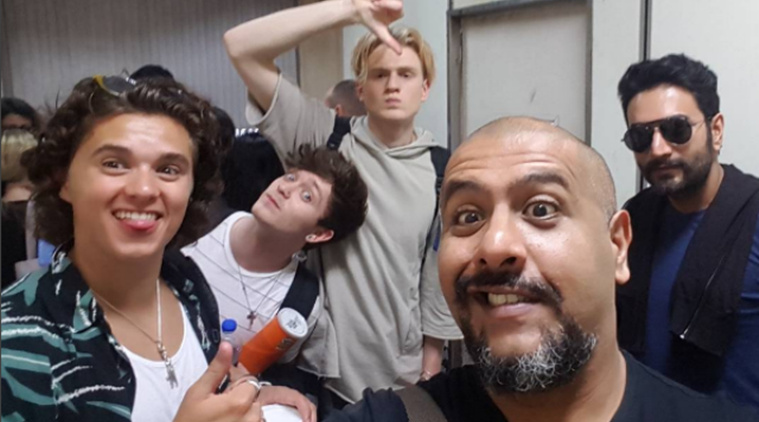 Our very own dynamic duo Vishal Dadlani & Shekhar Ravijani a.k.a Vishal-Shekhar collaborated with British pop-rock band called The Vamps! The song entitled ‘Beliya’ , celebrates two music cultures – pop and Bollywood. The initial part of the song, the chorus and the ending has dholak(an Indian folk instrument) beats which compliment the vocals by both the Vamps and Vishal-Shekhar. A line from the song – ‘Together we’re beautiful’ - celebrates the beauty of fusion. The Vamps sing the lead English verses, followed by Vishal-Shekhar singing a soft Hindi portion after the chorus. The song is undoubtedly unique, but the video falls slightly short. The video consists of the group recording the single, which isn’t the worst thing ever because who doesn’t love to watch cute British boys? However, the video still lacks a punch but the song makes up for it. 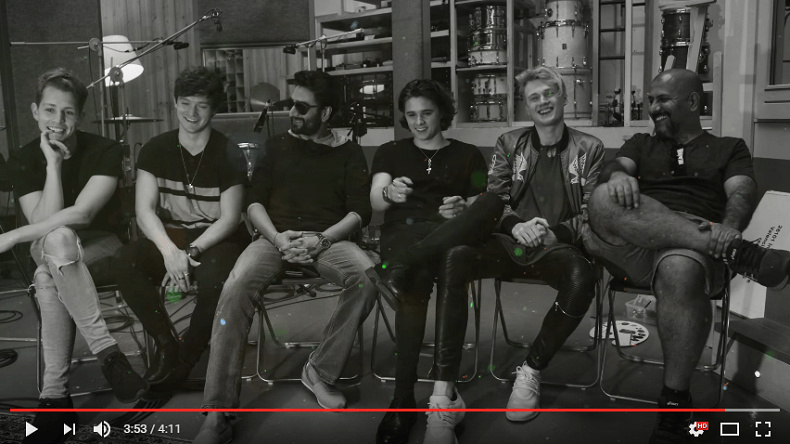 “It was super to work with The Vamps; they are extremely talented. We went in not really knowing each other, but in a few minutes of being there, they had taken the song that we had created for them, and added their own vibe to it,” said Vishal and Shekhar. “We are very happy that ‘Beliya’ is out and everyone can now hear what we created in London. It has been a lot of fun working with Vishal and Shekhar, who have taken us under their wings and are planning to take us to some of the best spots in Mumbai. We can’t wait!,” The Vamps said. Watch out for The Vamps in Mumbai! Initiated by Bottomline Media and Virgin EMI Records, this collaboration is exclusively available on the digital media company Hungama’s platforms such as Hungama Music and ArtistAloud. The group performed ‘Beliya’ at the Hard Rock Cafe in Andheri last Thursday and plan on performing across Mumbai to promote the hit single! Who doesn’t love a good fusion song? If you’re up for some more, listen to these folk fusions!